Hands That Heal, Hearts That Care. We are trained to handle the most urgent illnesses and traumatic injuries with skill and compassion. Does your pet need immediate medical attention? As a pet owner, you know only too well that medical emergencies often occur at night or on weekends, when your primary care veterinarian’s office is closed. To give your pet immediate access to top-quality care after hours—and to give you peace of mind— our skilled and experienced team is here weeknights 6 p.m.–8 a.m. and 24 hours on weekends and holidays. 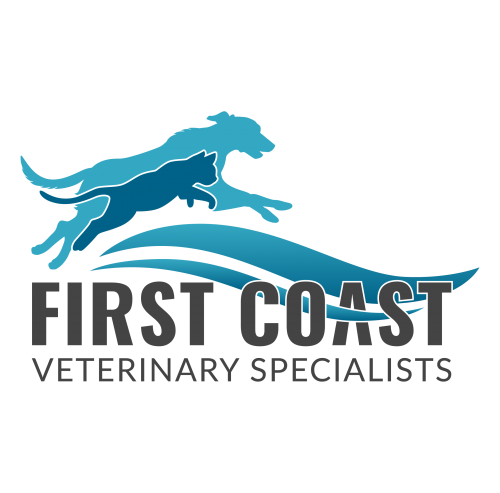 On-site veterinary specialists services with First Coast Veterinary Specialists.